Medavie HealthEd is a provider of high quality, Accredited Paramedicine training programs in both New Brunswick and Nova Scotia. 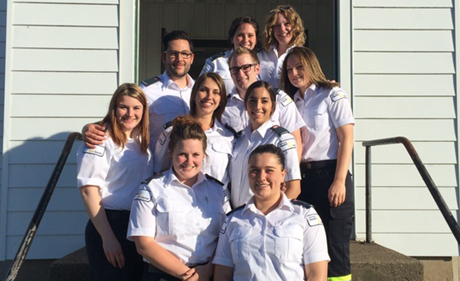 Over the years hundreds of students have successfully graduated from our paramedic training programs. 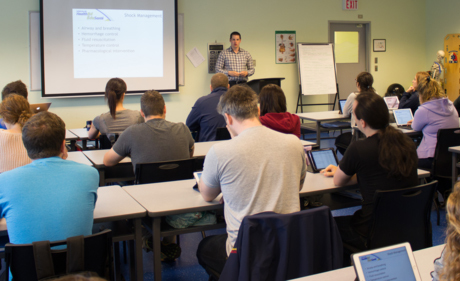 The Medavie HealthEd Advanced Care Paramedic (ACP) Distance Program is delivered through a combination of interactive web-based instructor-led classes, in-class practical simulation labs, as well as clinical and practicum experiences. This format provides students with the unique opportunity to complete their didactic education via a virtual classroom where they have the ability to interact, not only with their instructor, but with other students as well, all from the comfort of their home. The paramedic refresher program is designed for paramedics that have let their provincial registration lapse or for paramedics that are in jeopardy of not meeting their provincial reregistration process to maintain their registration. To qualify for this program you will need to contact your provincial regulator to verify that completion of our paramedic refresher program will meet the provincial requirements for reregistration. With more than two decades of experience, Medavie HealthEd understands paramedic training. Accredited under the Canadian Medical Association, we are also the key training partner of the Department of National Defence for the Canadian Armed Forces. It's not just about the education. 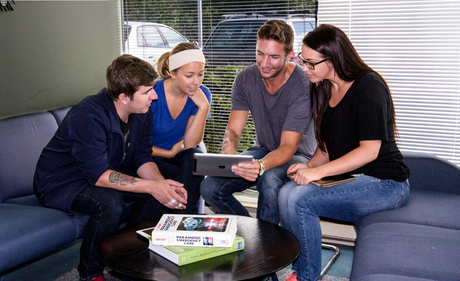 At Medavie HealthEd, we have implemented some of the best tools to make your learning experience enjoyable and efficient. Using technology as an enabler, you will never lose track of where you need to be. Our goal is not to only get you through the program, but more so, to help you start your career. With an entrance to practice exam success rate that is sky high and an even higher job placement rate after graduation, your chances of success are at their best.